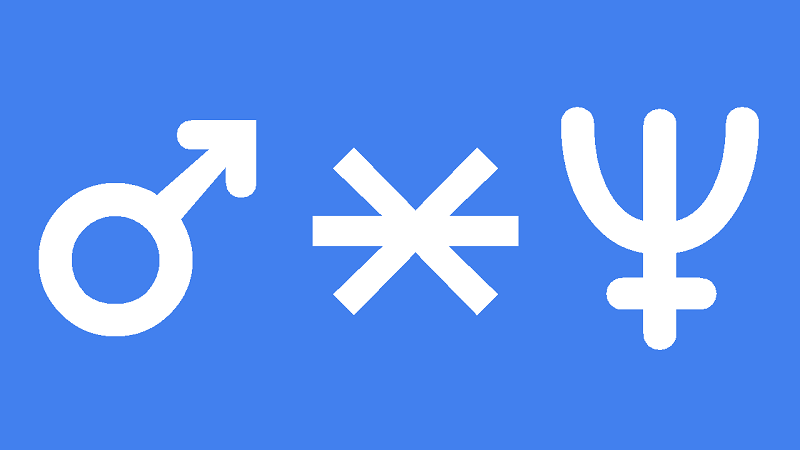 Mars sextile Neptune in the natal chart creates sexual charisma of the highest degree. Your are sensual and passionate in relationships but also passionate about finding the truth of a matter. Your quest for spiritual truth results in acts of kindness and compassion as a way to lead by example. Your idealistic, spiritual or religious nature means you can exist in a higher vibrational dimension and may seem and feel different. This may account for a mystical aura or sense of being special. Others will pick this up too, and you will sense their awe as a celebrity would. Existing in a different realm means you may interact or see entities which most do not. Your goals and achievements in life may also be less tangible, practical or material than others. Yet your creative passion and idealism can easily be felt through art, music, poetry, astrology, charity or religion. Although you act sincerely and selflessly, you can still keep up a healthy ego and enjoy the material fruits of your labor. You strength, courage and leadership ability can lead to success in fighting for just causes according to your spiritual beliefs or religious convictions. This is the greatest spiritual warrior aspect, being more assertive and energetic than the trine, while being less subject to subversion or weakness than the conjunction. Transiting Mars sextile Neptune increases your sensual desires making this an ideal time for romance. Your mystic allure will attract people more in tune with your level of spiritual development and you may even find your soul mate. You are sensitive to the desires of others and will enjoy being of service to them. This can result in acts or charity to a sensual massage. You have ample soothing and healing energy to share and should feel no guilt about any boost to your ego. You can also assert this spiritual energy to defend the mistreated or fight for a just cause. Your strong sense of what is right and true will guide you in your actions. Spiritual truths can be found through the application of your religious or spiritual beliefs. This can range from helping out at church to doing someones astrology chart. Spend time with friends and groups of people or follow your creative passions in music, dance or drama. You should have a good sense of rhythm and tone. Gerardus Mercator 0°00′35″, Karl Ernst Krafft 0°32′, Brooke Shields 0°33′, Robson Green 0°38′, Emperor Hirohito 0°40′, Jeff Buckley 0°42′, Dennis Wilson 0°45′, George Peppard 0°48′, Hermann Goering 1°06′, Giuseppe Verdi 1°09′, Justin Timberlake 1°14′, Marc Robertson 1°14′, George Michael 1°35′, Warren Buffett 1°56′, Rudy Giuliani 2°02′, Matthew McConaughey 2°10′, Evangeline Adams 2°43′. This today along with Mercury conjunct Jupiter in Libra, brings to mind a vision of the Archangels wielding the sword of truth faith and love, Oh I truly hope so 🙂 humanity could really do with all the help it is able to received just now. I have a natal trine Neptun&Mars. And I realised I often idealize my partner and give him all the best charastercs he actually has not got ( Mars in seventh house)????. Than I suddenly see the mistake and just go with no words (my strong Capricorn at Asc). and everyone wants to get in my trousers.